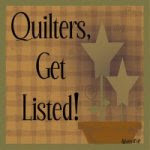 I have been tagged by a new to me blogger, Phyllis at Crumbs of Happiness, to list 7 things about myself so I'm game. I've been tagged to do this before but not in a while so I'll do it again. 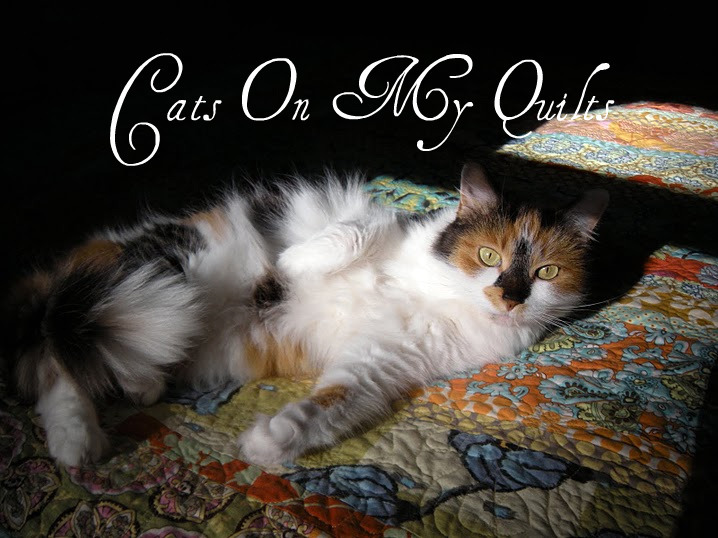 By the way, go see Phyllis' blog and scroll down and see her Hollyhocks quilt. I love it. All you girls doing the Batik challenge like Lisa and Nicole would have loved this quilt to make. So here goes. 1. I have one artificial knee-my left one. I had the surgery almost three years ago after a long time with bad knee pain. There was a long re-hab but it was worth it. I may have another surgery for my right knee in my future. I just gotta keep remembering that it will be worth it. 2. When I was a newlywed in the 70's living on an Air Force base, John Denver's mother, Erma, was on a bowling league with me. 3. I worked in an Art Museum for two years and an Art Gallery for 4 years and I know nothing about art. Luckily they never caught on. 4. I have had 4 cats. One of them is in kitty hell I am sure. He was a difficult cat. 5. I married a man I went to kindergarten with. 6. I have season tickets to UNH hockey. I like college hockey. 7. And here's a random thing about me-I met Spiro Agnew. I worked in a restaurant in college in Massachusetts and met him there. And if you don't know who Spiro Agnew is you're way too young. So the last time I did this I tagged 7 people, half of whom got mad at me so I will only tag my daughter, Caryl, since she's a new blogger. Have fun Caryl. Can't wait to see what she writes. Hope you can find it and thank you so much for visiting my blog. I love the 7 things about you - I'm not sure I could come up with anything that intertesting if I had to do it. I think your 7 things are interesting and fun. Well, except for that knee thing. And I know who Spiro is and at one time had every John Denver record. Yes record, not tape, not CD, but vinyl disc! I'm off to check out your daughter's blog. Cute blog. I love the 7 random facts. Can't wait to come back and see what projects you have done. Chris - I love your 7 things! You must be about the same age as me. What fun this was!!! I laughed, I giggled and yes, I'm old enough. I know who Spiro is, I also love college hockey and have seen UNH play many times. I went to Cornell! I just stopped by to take a look at your blog. I picked your name up from another blog. I like the picture of the blue jay back on your December post beautiful. and I like your "penny" on the quilt. Thank you for your kind comments. I am feeling much better. I hope you are well, too.